As you can probably tell by the title, I am a fan of recreation. It's probably why I enjoy living in San Diego. In fact, I would venture to say that San Diego may be the most "recreationally active" city in the country. Not so coincidentally, San Diego is widely considered the fittest (and finest) city in the country. Not everyone's living situation is the same, that's clear, but it has always fascinated me as to why the general population at large believes three 60 minute workouts per week is enough to get fit. Sure it's better than nothing and absolutely you can make headway in your health and wellness, but I consider it more of a start point, not an end. There's more we can do, and we don't even have to call it a workout. But first, lets do a little a math. 7 days a week x 24hrs in a day = 168 hours in a week. Subtract the 56 hours we SHOULD be sleeping and we're left with 112. Subtract 40 hours for work and we're left with 72 hours, also known as three full days worth of time. Now, I get it, I am oversimplifying, there's the morning commute, time with family, and how could I forget...eating. However, when I look at my weekly schedule and I'm thinking about work, social life, and misc all included, I purposefully leave spaces in my schedule for what I call Non Exercise Activity (NEAT). Personally I cannot imagine my only physical activity, my only revved up heart rate, my only outlet to express athleticism, and my only ability to put strain on my skeletal muscle being three one hour trips to the gym. For some people it's life, it does the trick, it's their salvation, but for me, despite being a strength and conditioning professional I would be as depressed as I was bored - even if my gym was rad AF. I would even go so far as to say that performing more than 3-4 gym workouts a week may be a bit overkill for most average Joe's. That's why I always advocate finding some additional outlets. The reason I use the acronym NEAT is because I don't want people to consider recreational activities as scheduled exercise, hell I don't want them to think about it as exercise at all, even though it is. Everyone does, or in my opinion, should have "a thing" or multiple things that they like to do other that grunting around other men. For me, because of where I live, those activities are beach volleyball and surfing (throw in hiking as well). 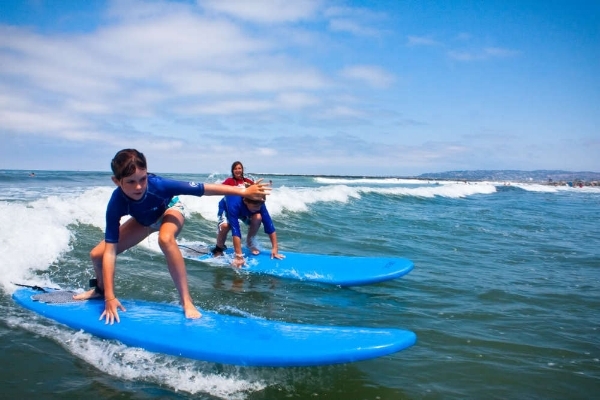 As i mentioned previously, I attempt to leave gaps in my schedule so that I am able to play or surf or hike. Full disclosure, at the detriment of productivity (at times) I often make getting outside a priority but invariably life does get in the way and I'm not able to as much as i would like. When that happens I make adjustments in my schedule to ensure that I get the activity that I need to feel like I am maintaining fitness, but also to just stay sane. See, for me, while I know and understand that playing volleyball in the sand for two hours is exercise, it's movement in multiple plans and it's explosive, I've never looked at it as a workout. Sure, I count it as part of my weekly regime and know that if I am getting to play 2-3x per week that I can check mark some boxes on some weekly fitness qualities but ultimately it goes way beyond that. I look at it as a higher order in the grand scheme of staying fit. When i am outside, i am outside....profound right?:-). I am in nature, soaking up Vitamin D and immersing myself within a community of people. In the same game I am able to express competition while having camaraderie with my fellow man, and breaking a sweat as well. All of that blended together, like a morning smoothie, lends to better functioning human. When I am in the water, I am even closer to nature. I let the energy of the water help me to recover and exhilaration of riding a wave provide me with a thrill that I could never get in the gym...even hitting a PR. Don't like any of the above options? Perhaps running stairs serve as recreation and "getting outside" to you. 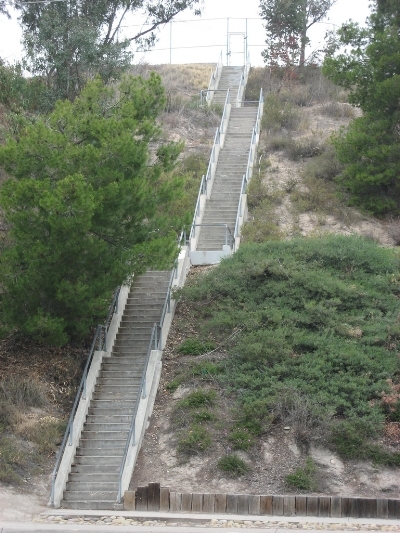 If that's the case my friend Brian Tabor wrote an article about all the fun stairs you can run in San Diego county on his site, strong made simple. My point in all of this is that you must find the yin and the yang, the building of and creating your strength and power combined with the expression of and the recovery aspects of being close to nature that all link together to make, once again, in my opinion a very well AND fit human. Whether that is fact or just an assumption based on the weather here, I'm not sure, but being active, not just working out, but being generally (or specifically) active in addition to your regularly scheduled workouts is in my opinion the 'X' factor is attaining and maintaining the fitness and physique that you want. Older PostCan you REALLY negotiate your way to weight loss, physique change...and expect to keep it that way?